This weeks travel inspiration photo comes from Sana’a, Yemen. 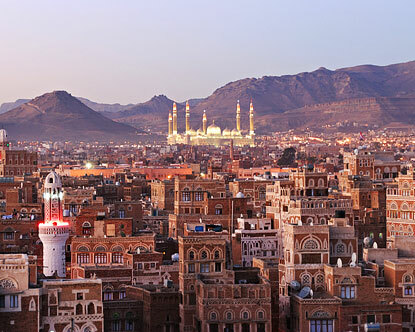 Sana’a is the capital of this country at the southern end of the Arabian Peninsula. Most people probably know both Sana’a and Yemen as a hotbed for terrorist and Muslim extremist activity. These facts shouldn’t stop you from researching or getting excited about a visit — you may just need to do a bit more planning before you head off. Have you been to Sana’a? When I first heard that Marriott was going to enter into a JV with AC Hotels I got pretty excited. I’ve heard some great things about these properties (located in Spain, Portugal and Italy) and I was excited that I could earn Marriott points with a stay. 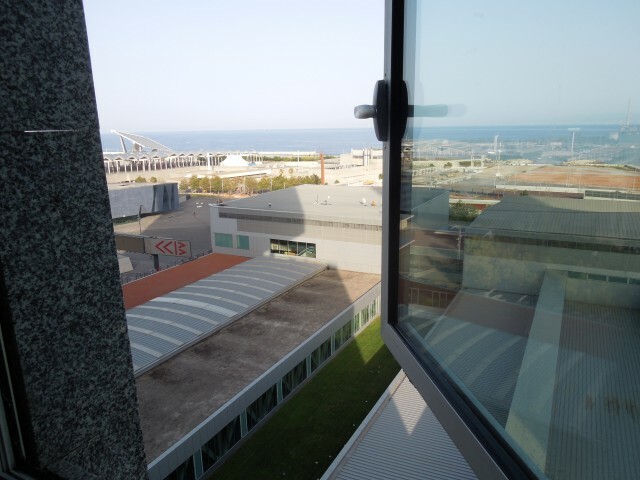 We decided to pull the trigger and stay at the AC Barcelona Forum for our final night. The lobby is enormous, with large windows and an incredibly high ceiling. I loved the space. In addition to ample seating and the check-in area, you’ll find work stations with computers and a very large multi-national newspaper selection. As we checked in, the front desk clerk greeted us in Catalan and Spanish. She asked what language we would prefer to speak during check-in (yes, English was offered). We opted for Spanish. While MS is pretty fluent, I am not. I studied for about three years in High School, but surprisingly I understood about 80% of what she said. I must admit, I was a few seconds behind the conversation as my brain processed the language, but I did get most of it. The elevators were quick and spacious as well. 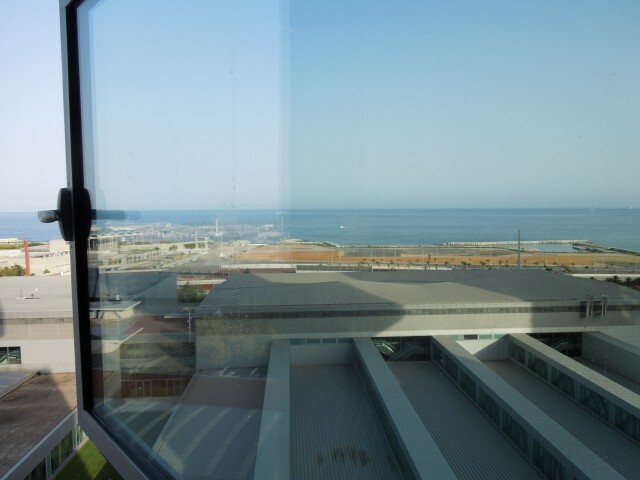 We had a queen room with a view of the harbor. The room felt very rich because of the deep tones of the wood. The room even had a couple plug ins at each night stand — and we all know how much that means to me! The windows opened fully too — something we don’t see to often in the US, damn our litigious nature. One issue though, water was dripping from the window – not sure where the water was coming from, but when the window was open there was a pool of water on the floor. 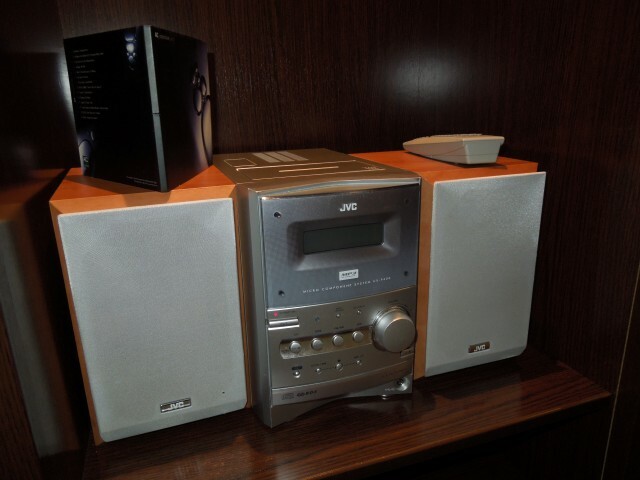 A CD player was available and they even provided a nice AC Hotels mixed CD for us – we could have taken it home with us for an additional charge. We were content to listen to this in the room and that was it. 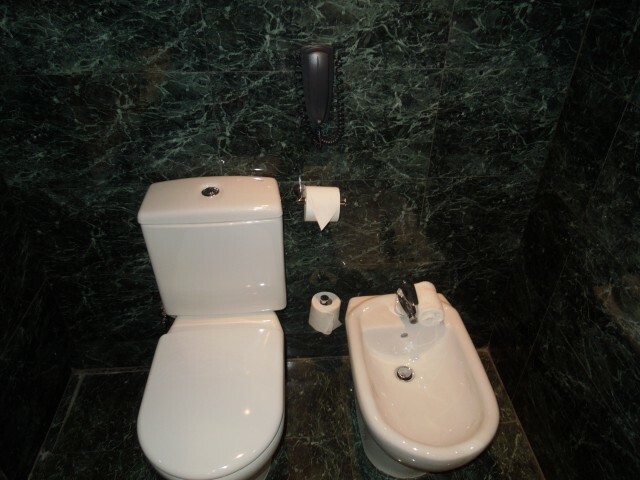 The bathroom was very clean and modern. 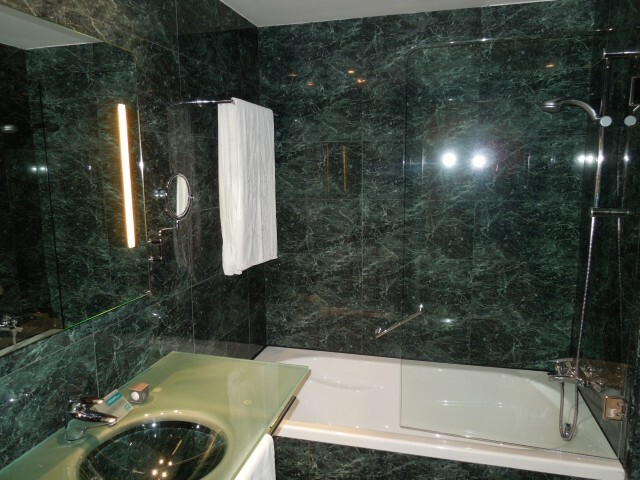 The dark green marble also made this room feel more luxurious than the going rate. The water pressure was great and the hot water was plentiful. We had plenty of towels too — even after I had to use TWO towels to soak up the water around the window. Yet another hotel pet peeve of mine — an inadequate supply of towels. The hotel was across the street from a busy shopping mall, which I did visit to buy an extra suitcase because of my French shoe shopping addiction. 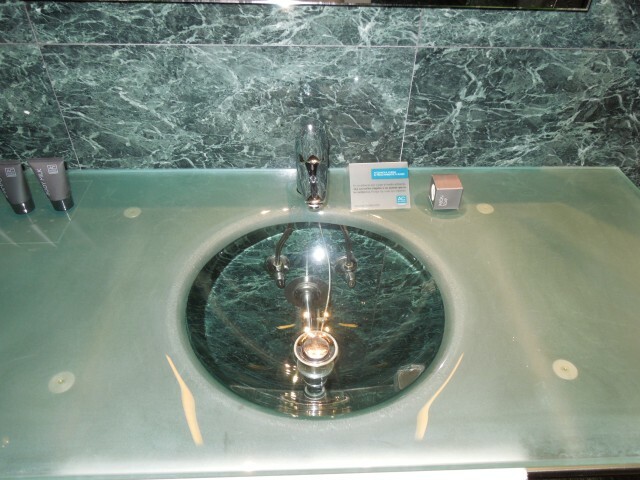 The hotel is a very short walk to the Besos Mar subway station and is also at the Forum tram stop. We didn’t eat at the hotel (Barcelona has some great food and we wanted to get out and explore a bit more our final night in the City), nor did we visit the gym or the swimming pool. 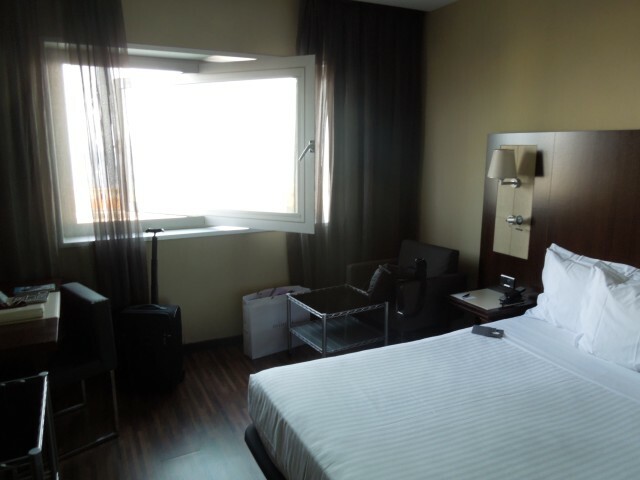 I would definitely stay at this hotel again – it was close to transportation and with ample taxis to get you were you needed to go in the City. 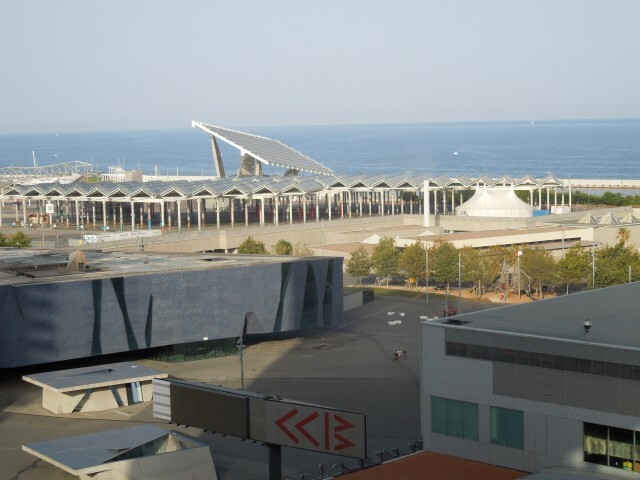 This area does have some cool modern buildings, but if you want to stay in an area surrounded by the Gothic Architecture Barcelona is known for, stay elsewhere. 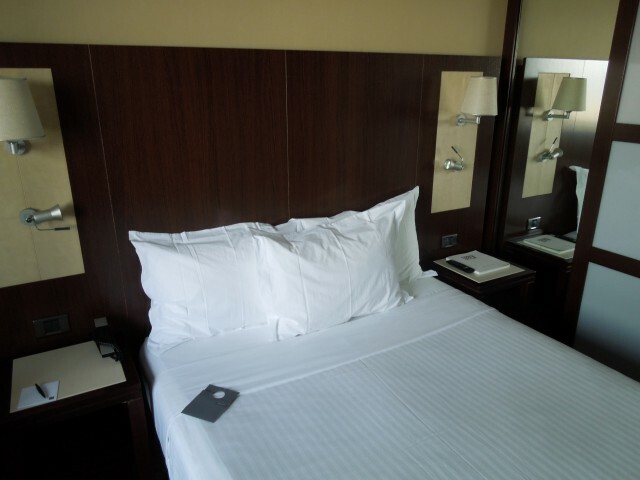 If you want a modern hotel with top notch service at a very reasonable price, this is your place. We paid less than 125E for our room. 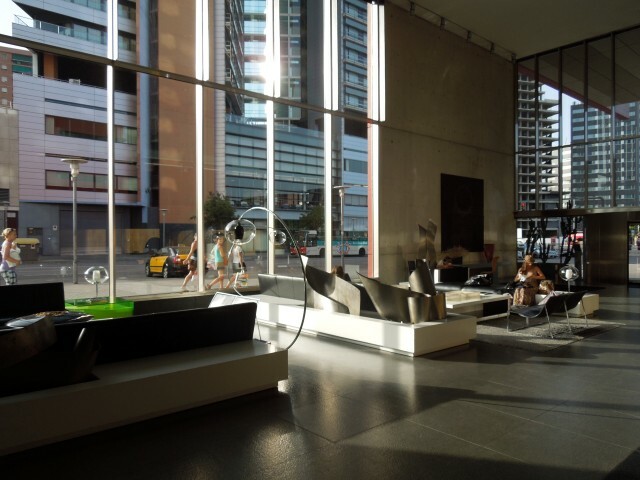 Have you stayed at the AC Barcelona Forum? Have the AC Hotels changed since their partnership with Marriott? I was playing around on YouTube a while back and stumbled across some old airline commercials. 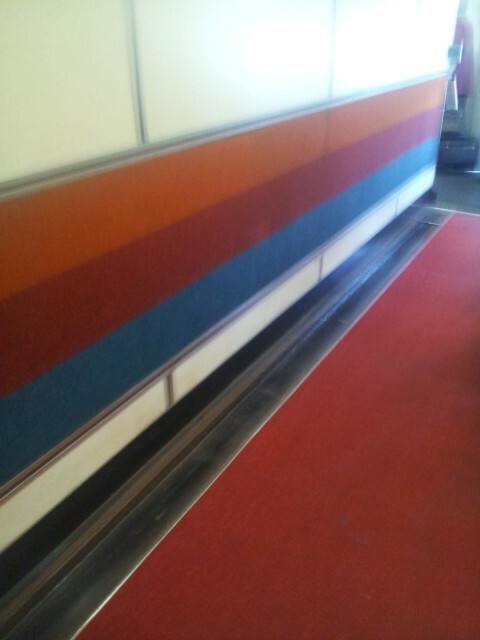 These are so dated, but do make me miss the days when air travel was more glamorous. Granted, I never flew when the airlines were in their hay day – the first flight that I remember was in 1982 (I was three), but compared to flying now, the 1980s were the golden age of air travel. “…we’ve built the largest airline in the free world.” What was the largest airline in the non-free world in 1982? Check out those quintessential 1980s United colors – the best part, Seattle Airport still has that color scheme in their United gates – see the pick from our PNW Road Trip below the video! Photo Taken August 5, 2012 — Yes, 2012. Oh how times have changed, haven’t they? 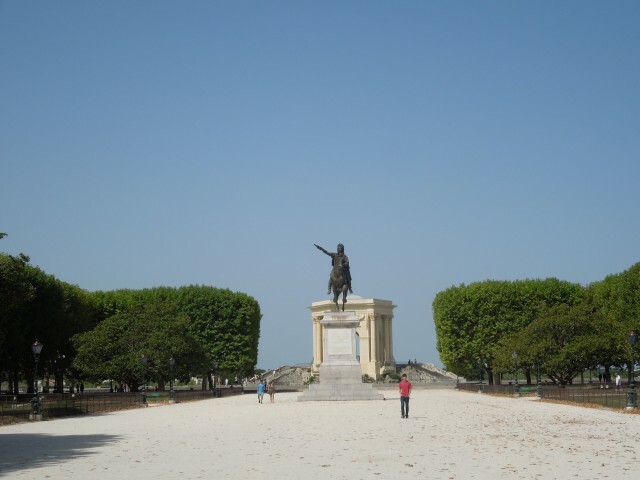 Our final stop in France was Montepellier. We didn’t have as much time in the City as we had hoped, the major traffic jam the day prior really put a damper on our itinerary. 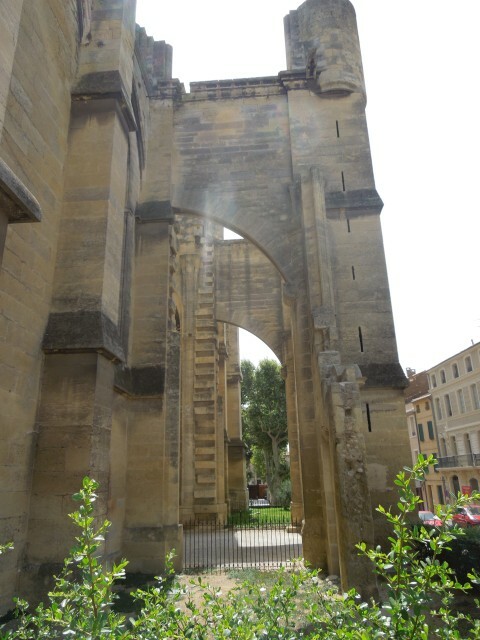 One of our guidebooks called Montpellier the Oxford of Europe (I guess you have to forget that the UK is in Europe for this to ring true, but I get what they were intending). 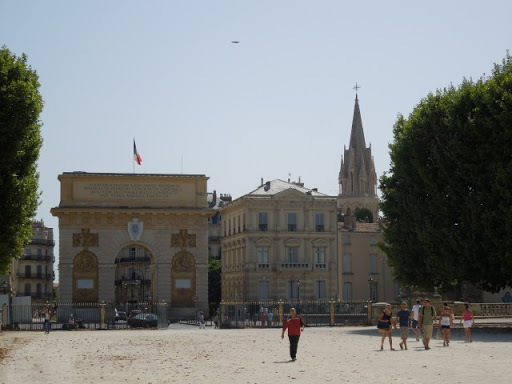 Montpellier is the capital of the Languedoc-Roussillon Region in Southern France and is home to a quarter of a million people. 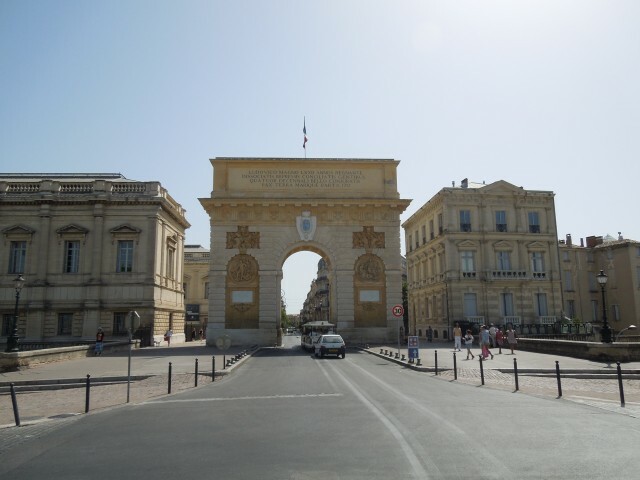 This third largest City on the French Mediterranean Coast (behind Marseille and Nice) and the eighth largest City in France is also home to the University of Montpellier. 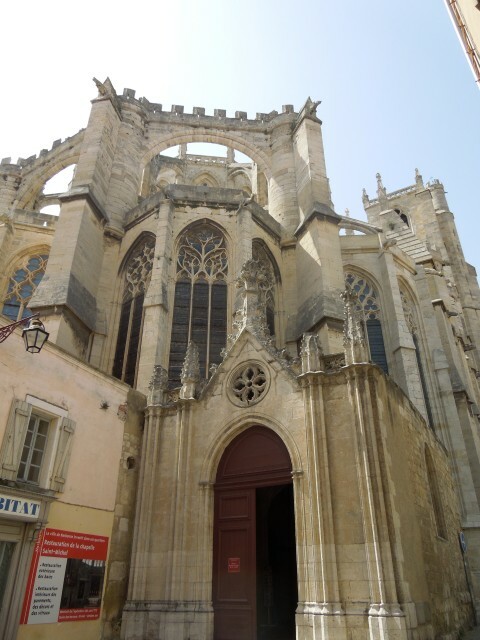 The University was founded in 1160 and is one of the oldest on Earth. 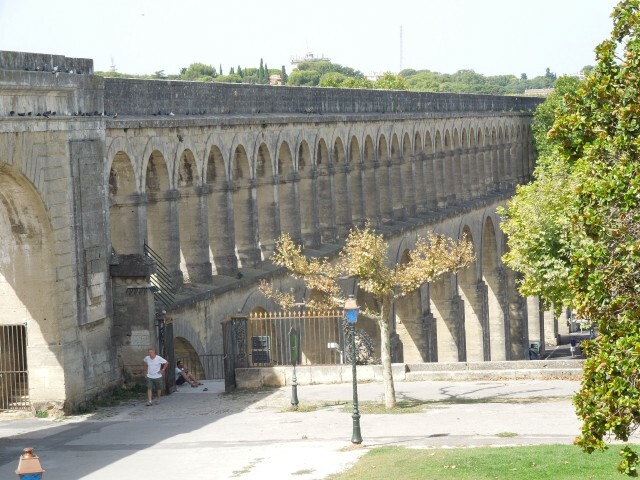 Some amazing Roman Ruins still exist in the City like the aqueduct below. 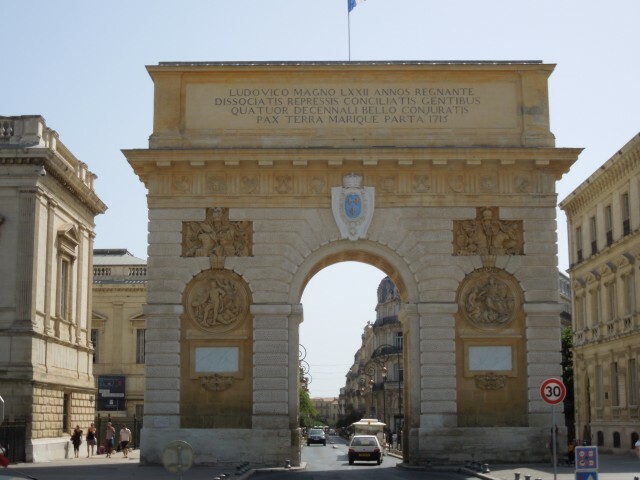 The Porte du Peyrou, an Arc du Triomph was built in built in the 17th Century and was designed to celebrate the reign of Louis XIV. While we didn’t get to spend too much time exploring the City, we did really enjoy the limited time we had. 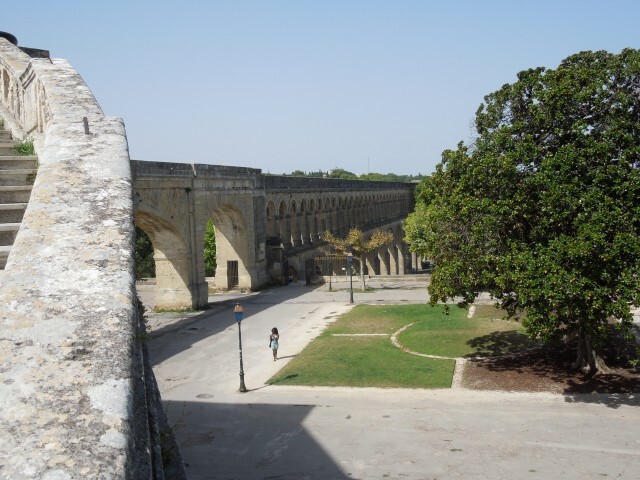 I could see us going back to visit if we were in Southern France again. 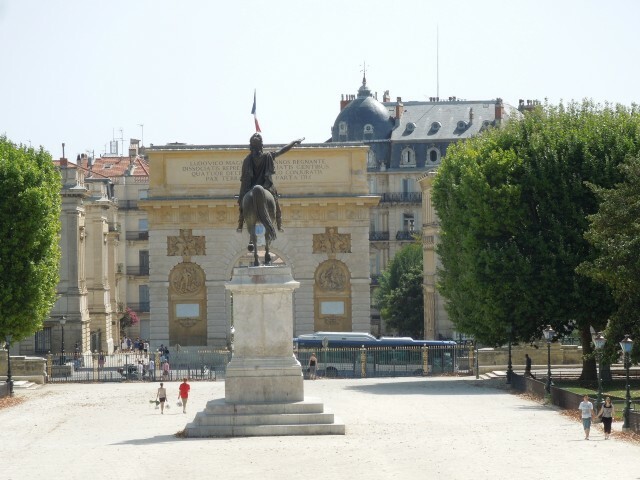 The City is very walkable and has a tram system that got us everywhere we needed to go. You have to love a small European City with a large student population — great cheap food, great transport and just a great vibe. 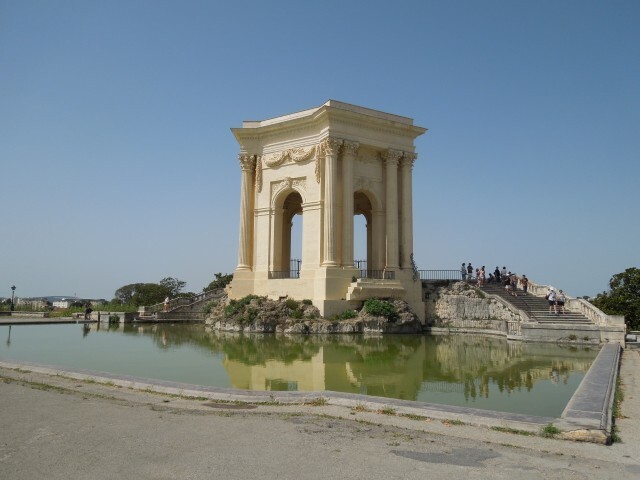 Have you been to Montpellier? 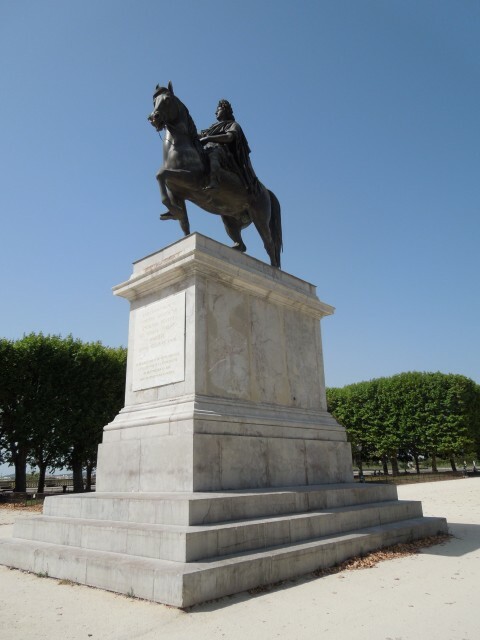 What is your favorite City in Southern France?